Since January 2015, Dr Hagen Duenbostel (born in 1970) has been Spokesman of the Executive Board of KWS SAAT SE in Einbeck. 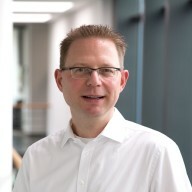 He set the course for this early in his career: After getting his MBA at the universities of Regensburg and Passau (1995), he obtained his Dr. rer. pol. degree at the University of Göttingen as well as at the Harvard Business School. KWS is an independent, family-oriented and value-oriented company. This includes thinking in terms of generations and doing business sustainably. Since 2015, Dr Hagen Duenbostel has been Spokesman of the Executive Board and responsible for the following departments: Maize, Corporate Business Development and Communications, and Compliance. Dr Hagen Duenbostel is dedicated to the German Committee on Eastern European Economic Relations. He has been a member of the Executive Board of KWS SAAT SE since 2003. He moves to KWS SAAT AG and takes over the management of a newly founded subsidiary three years later. Starts his professional career in the auditing department of PricewaterhouseCoopers AG in Hannover, signifying a return to Lower Saxony for the Hannover native. "KWS has been an independent, family-based and value-oriented company for more than 160 years. This includes thinking in terms of generations and doing business sustainably. The aim of the owner families is to pass on their shares to the next generation. This attitude characterises the company and enables continued profitable growth. On this basis, we see good opportunities to consolidate our position as an independent seed specialist and successfully continue on our own path." “Two factors set us apart from our competitors. First, we focus exclusively on plant breeding and seed; we are not active in agricultural chemistry. We also have a special ownership structure: The majority of the shares are in the hands of the Büchting and Arend Oetker families. This independence creates the freedom to conduct intensive research and develop new varieties and to optimally tailor the variety portfolio to agricultural needs." "Farmers have been the focus of our activities since the company was founded. KWS emerged from agriculture and feels a special connection to the people who live, work and are sustained by farming. We meet the farmer in partnership, see him as an equal entrepreneur and pay attention to his knowledge and experience. Our goal is to best support him with our own expertise."